A day after the Quebec government proposed an overhaul to its immigration laws, Ottawa says it's opposed to one of the key changes: imposing conditions on immigrants seeking permanent residency. A day after the Quebec government proposed an overhaul to its immigration laws, Ottawa says it's against one key change: imposing conditions on immigrants seeking permanent residency. The Coalition Avenir Québec government tabled legislation Thursday that would give the province's immigration minister the power to ensure new arrivals are meeting, among other things, regional labour needs, as well as successful "linguistic, social or economic integration" in the province. Bill 9 also puts an emphasis on immigrants learning French and adopting the "democratic values and the Quebec values expressed by the Charter of Human Rights and Freedoms." 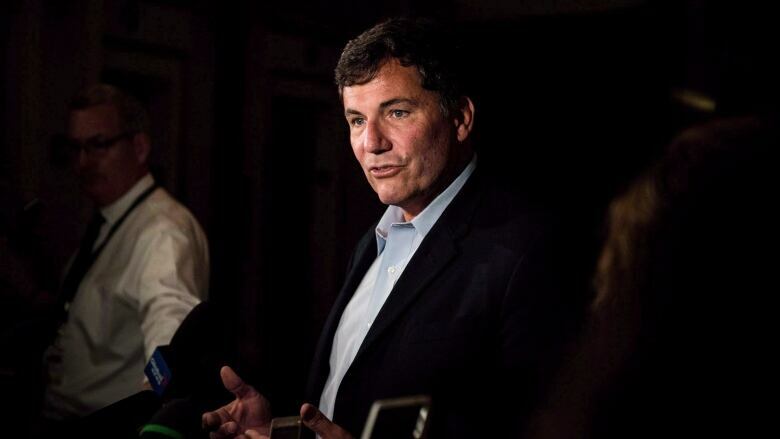 In a statement, Intergovernmental Affairs Minister Dominic LeBlanc​ said Friday that jurisdiction over immigration is "clearly defined in the Canada-Quebec Accord, and we will always respect it." "More analysis on Bill 9 is needed, however we do not support the reintroduction of conditional permanent residency." He said the Trudeau government withdrew conditions on maintaining permanent residency, introduced under the previous Harper government, because they "endangered women in precarious situations." The CAQ's bill drew criticism from the Official Opposition in Quebec City, which argued the bill's language shows that the CAQ is trying to circumvent federal law. "They know they don't have the necessary latitude to act on permanent residents, but they are giving themselves a way to do so with another element of the law," said Liberal immigration critic Dominique Anglade. Quebec Premier François Legault said Friday he is sure that he will be able to convince Ottawa to give the province more powers on immigration. "I am confident that the federal government will give Quebecers what Quebecers want," he said, recalling that he received a "strong mandate" in last year's election. The CAQ promised to cut the number of immigrants and introduce a values test for new arrivals during the election campaign.